HSS Health & Safety Services were established in 2009 offering consultancy services to small – medium sized organisations providing competent health, safety and environmental advice, support, and assistance. Since inception we have established a good rapport with clients, offering friendly, helpful and cost effective solutions for health & safety related services. Our main aim is to provide our clients with competent services which help towards meeting their legal obligations. 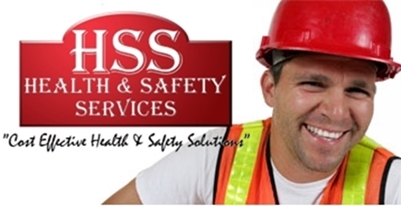 HSS Health & Safety Services offer knowledgeable, experienced, and qualified industry professionals to assist your every need. All HSS consultants have experience of working within Construction Sites, Local Authority, Industrial Sites, Chemical Laboratories, Mechanical Sites. This list is not exhaustive. In February 2011 HSS Health & Safety’s Proprietor, Roland Neal became a OSHCR Registered Member. OSHCR is the standard for identifying Competent / Qualified and Chartered Consultants which sets the bench mark for the health & safety industry. Currently Roland Neal is the only OSHCR member within HSS Health & Safety Services. The service that Roland and Martyn at HSS provide our company Roofwise, is second to none, We now have them on a retainer scheme and they carry out all our Health and safety training as well as providing on site support. We cannot recommend them highly enough!